Howard Marks: "We Had One Of The Most Violent Downdrafts I Had Ever Seen"
But for me, the import of all the above is that investors should favor strategies, managers and approaches that emphasize limiting losses in declines above ensuring full participation in gains. You simply can’t have it both ways. Just about everything in the investment world can be done either aggressively or defensively. In my view, market conditions make this a time for caution. In retrospect, one correction and one (short) bear market later, Marks was right, and on Monday speaking at a Bank of Singapore event, Marks recapped what happened, saying "we had one of the most violent downdrafts" that "I had ever seen,” Marks said. "Nothing much changed except people were first ignoring the bad news and then they were obsessing about the bad news." So having anticipated, if not exactly predicted, said "violent downdraft", what was Oaktree - which was building up cash for precisely such an event - doing? Why buying with both hands. 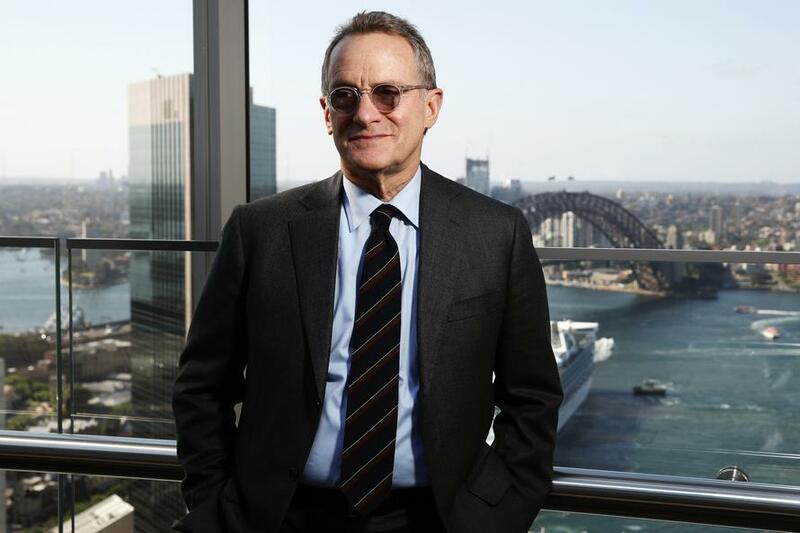 As Bloomberg writes, while some traders say you should never try to catch a falling knife, Howard Marks begs to differ, noting that "that’s exactly what investors should be doing" and adding that the recent sell-off in U.S. equities was a case in point. As timing the bottom is impossible, the trick is to buy assets as they decline, before they start to appreciate, Marks said. Well, because that kind of "safety in numbers" is precisely what investor - and central bank - psychology is all about, and why it remains rather "complicated" to become a billionaire on Wall Street. Among Marks' other observations, which should be familiar to readers of his periodic letter, the Oaktree investor said that while markets are not at extreme bubble levels and so are unlikely to see extreme crashes, because we’re in the “eighth inning” of the market cycle, now is a time to be more cautious than aggressive, repeating precisely what he said in September. He said the rout in U.S. shares in the fourth quarter of last year was an example of how sentiment can suddenly shift from excessive optimism to excessive pessimism, even though fundamentals didn’t change. The S&P 500 Index tumbled almost 20 percent from late September through a low on Christmas Eve. Since then, it recovered more than 10 percent through Friday’s close. Oaktree, which secured new investor capital of about $8.5 billion in 2015 to prepare for market duress, started deploying some of that money over the past year, however Marks didn’t say where he was investing the capital. Echoing Jeff Gundlach, Marks said that emerging markets generally and Asian markets are relatively cheap, adding that Oaktree is giving “a lot of attention” to emerging-market stocks and bonds.